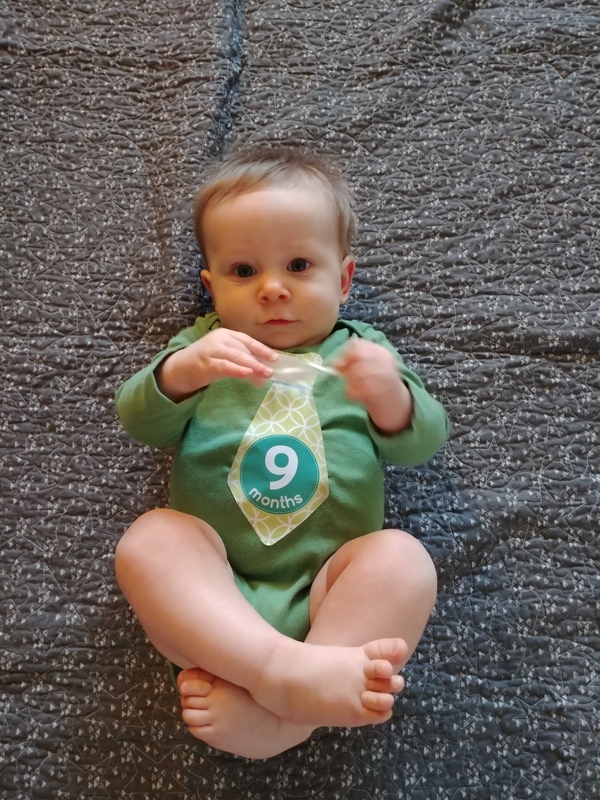 This was a month of milestones and new experiences for Zachary. 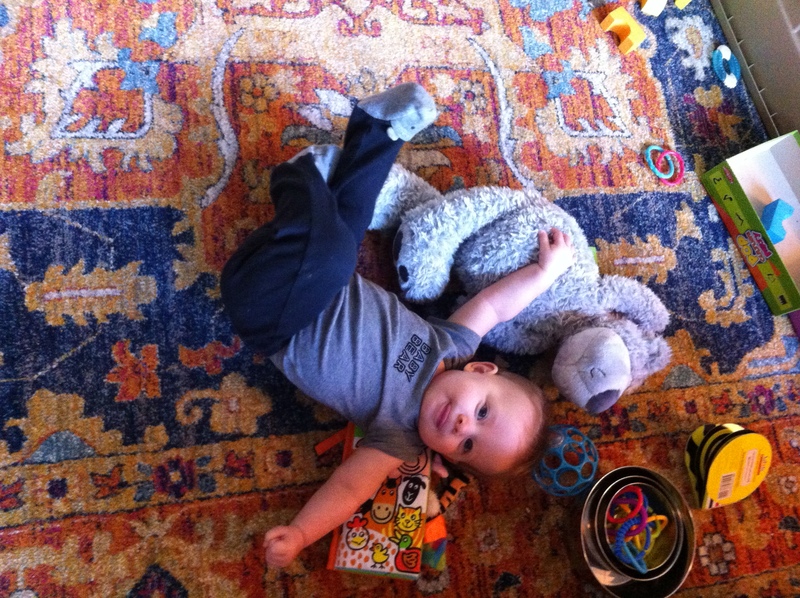 At the beginning of the month he extended his arms and started rocking on all fours. 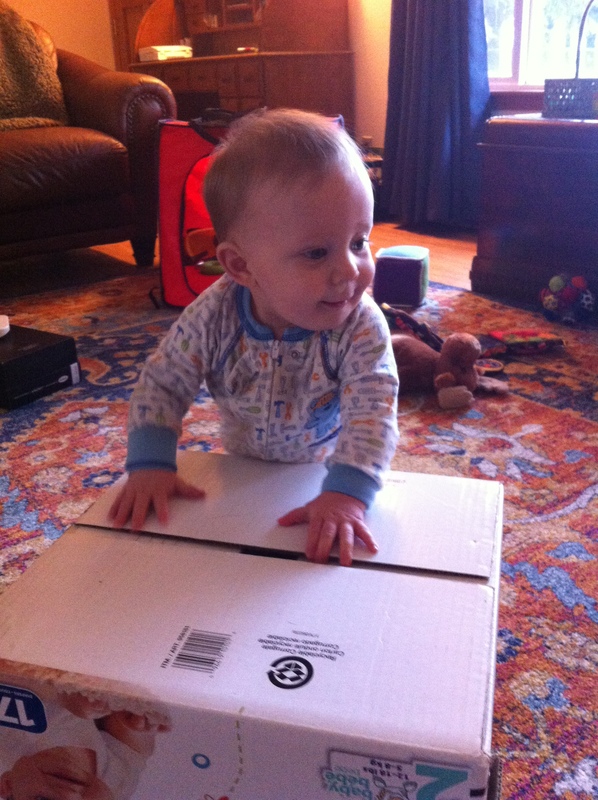 After that, he began to pull up on boxes. 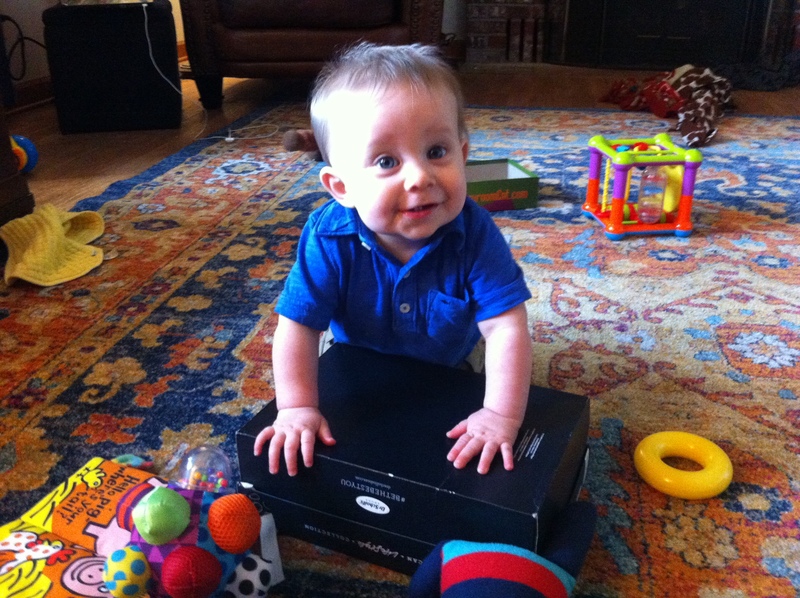 That quickly changed to climbing up and down boxes of different heights, from shoe box all the way to diaper box. 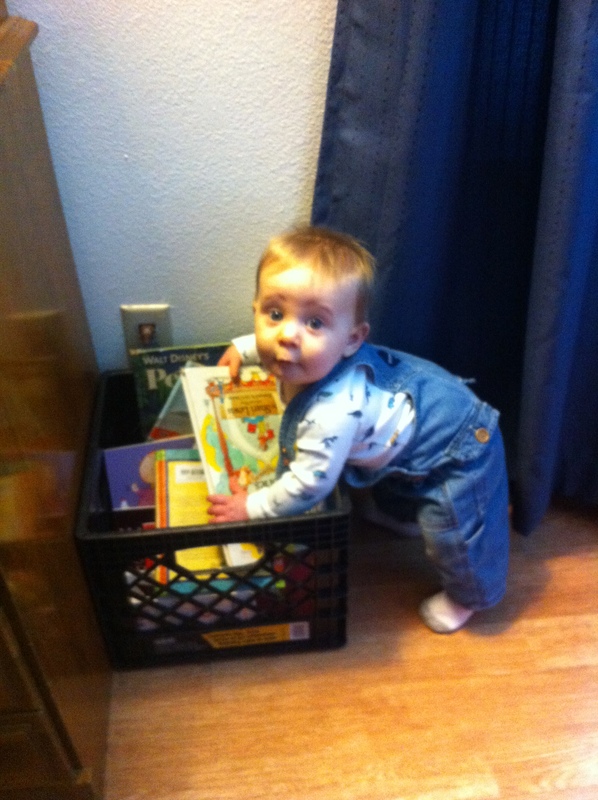 Now, Zachary is pulling himself into a standing position using his book crate. With all of this physical development there have been a few tumbles and tears. 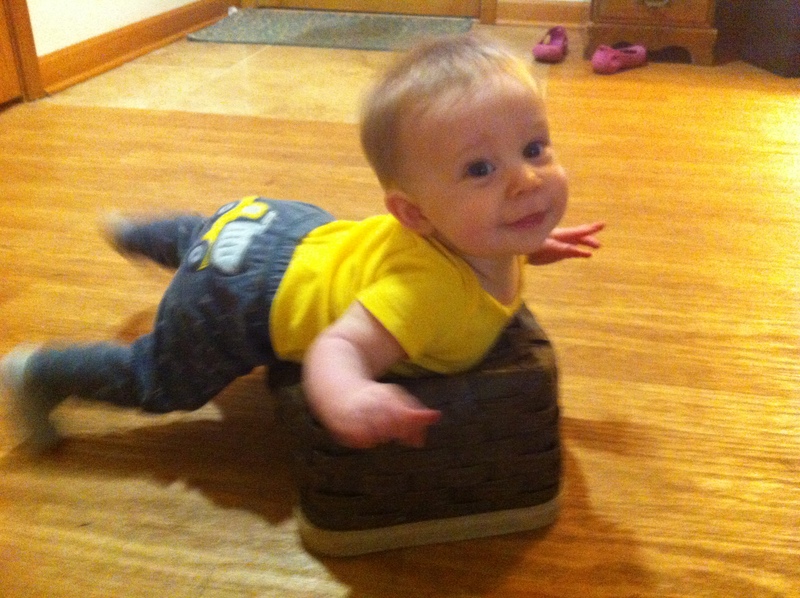 So, we are teaching Zach to lean back and sit down if unbalanced. We are learning his “help I’m stuck” whine when he gets into a position he doesn’t know how to get out of. 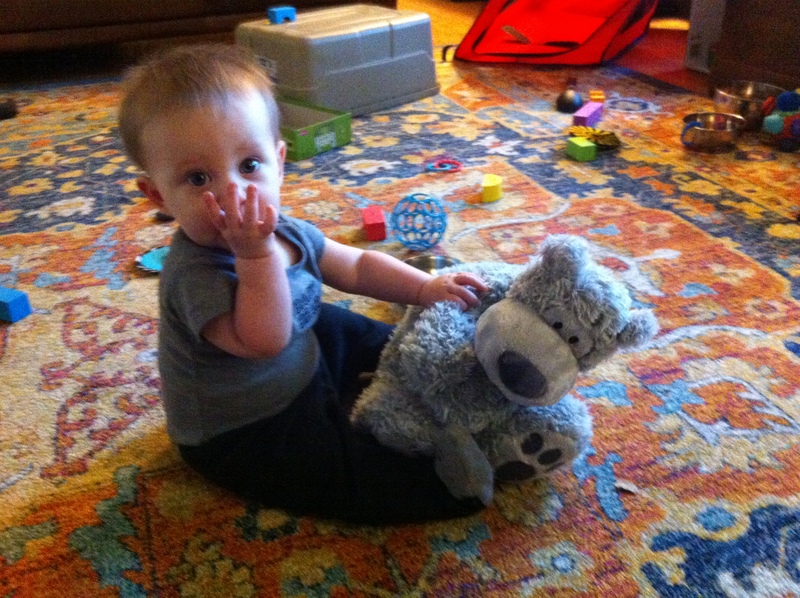 With this new exercise Zach now favors finger foods and solids over puree. When he does eat puree, he insists on grabbing the spoon and feeding himself. Which of course is messy. It’s also much easier for Zachary to eat carbs and meat now that he has FOUR teeth on top! The first two cut through at the beginning of the month, the second two near the end. 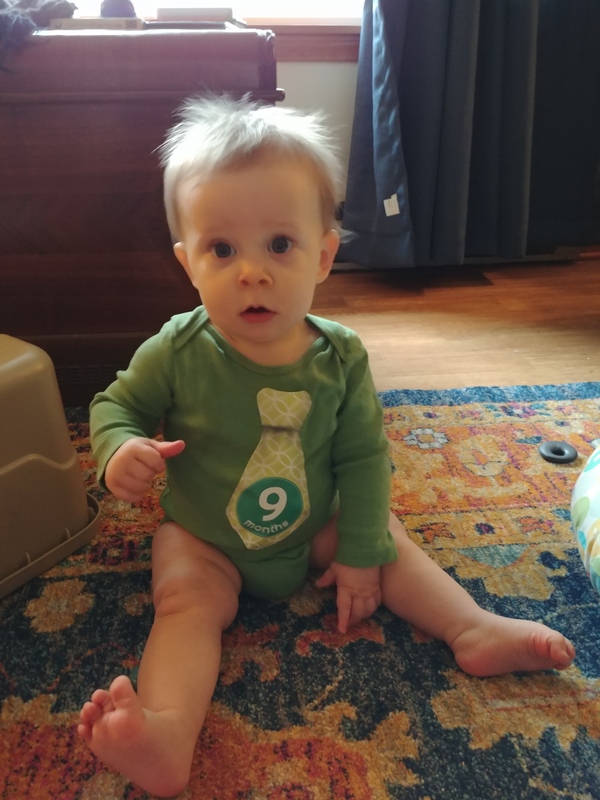 So, he now has 6 teeth total! 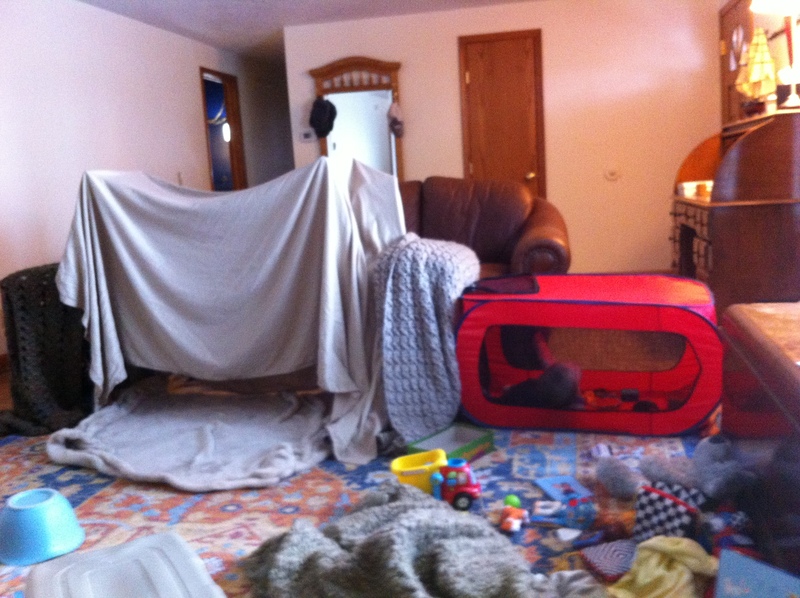 On our first snow day, Mom decided to build a fort. 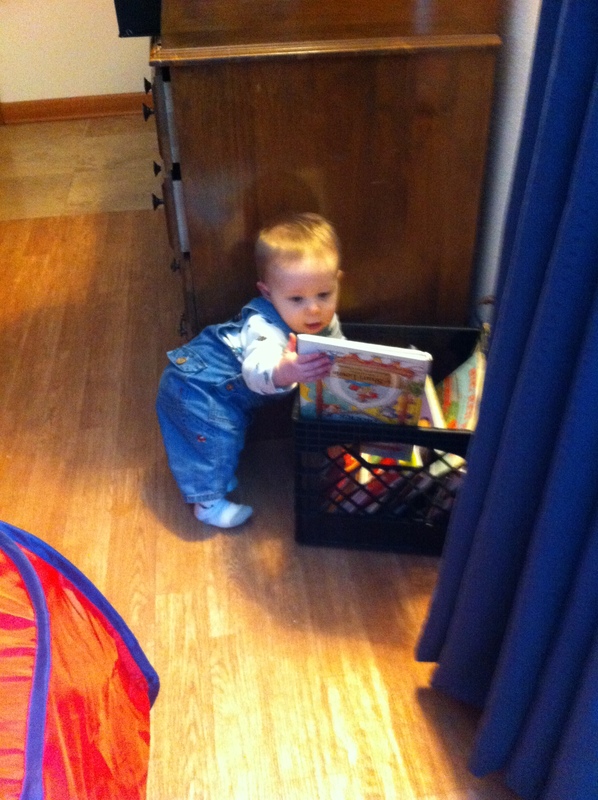 Zach loved exploring his tunnels and hiding with Mom and a few books. 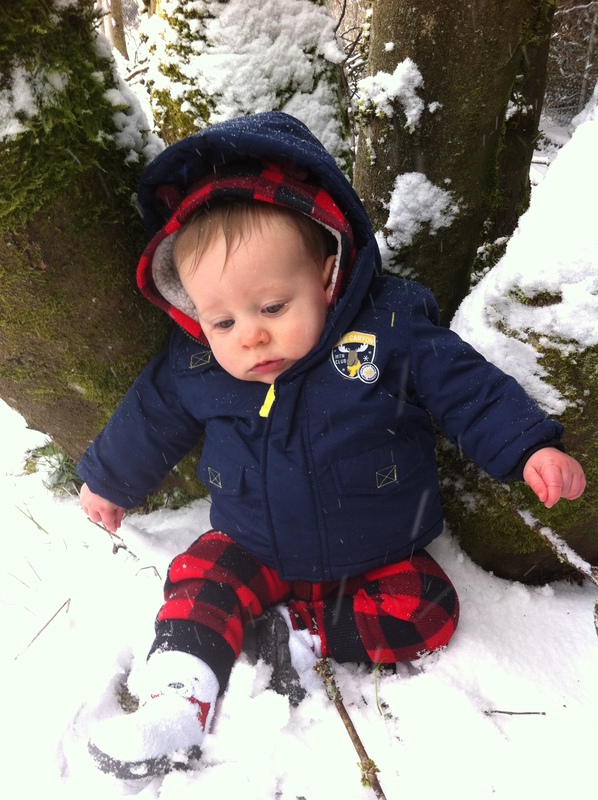 We went outside to explore the snow. But it was cold, Zachary had several jackets on, and it was almost nap time, so he didn’t think the outing was very fun. 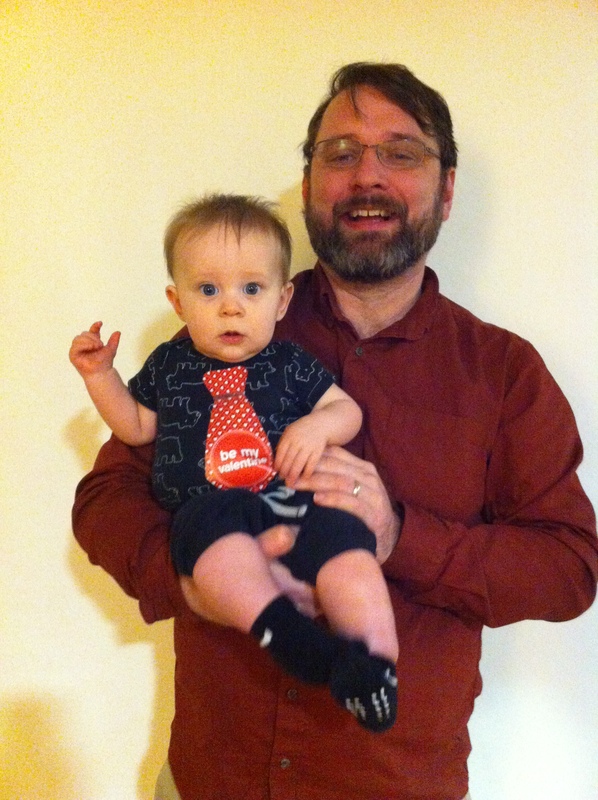 A few weeks ago, we started attending Baby Books at the Library. Once a week a volunteer leads songs, structured play, and reads short books for babies and their caretakers. The first time, Zach was overwhelmed but by the end he was smiling and wiggling along with the rest. 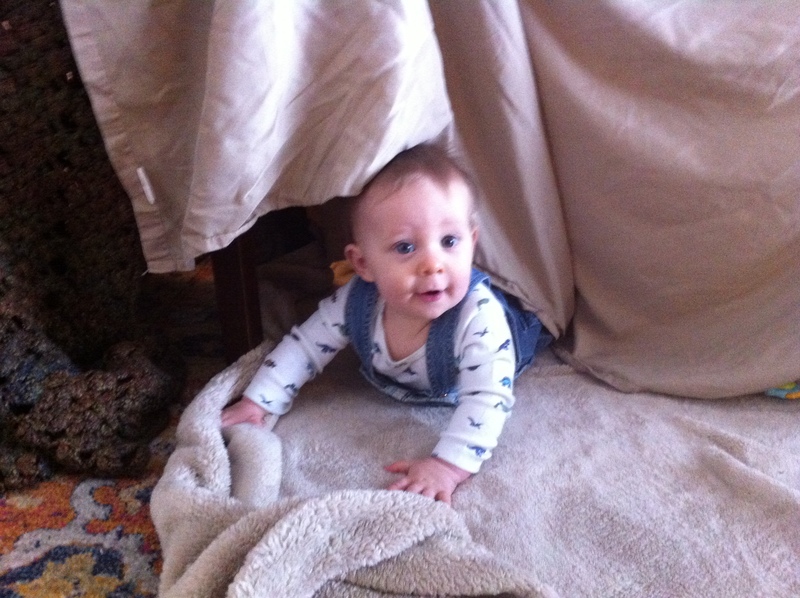 At Baby Books he saw bubbles for the first time, and got to crawl under a colorful parachute. Needless to say, he takes a nap on the way home, every time. 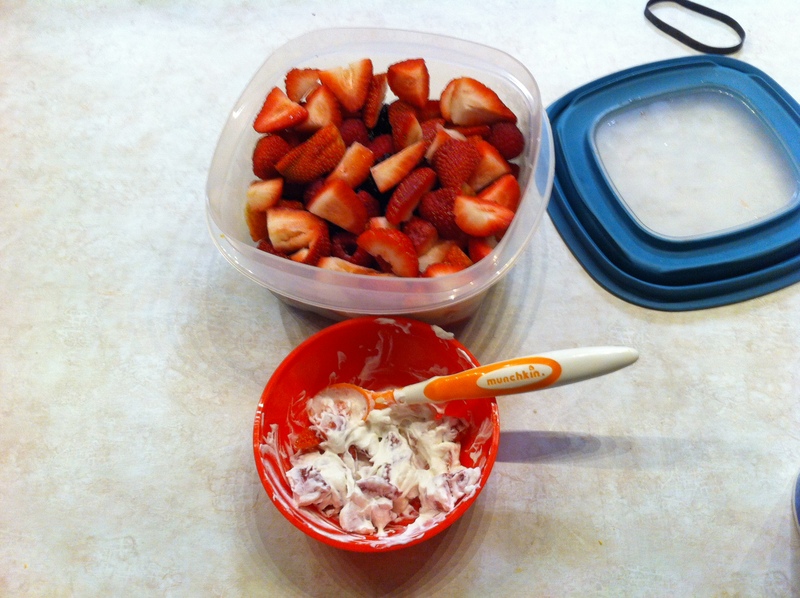 For Valentine’s Day Zach got a special treat: whipped cream and strawberries, strawberries are ok, but he really likes the cream. On President’s day weekend he spent the day with NaiNai and Papa so Mom and Dad could have a long needed day away. We had sushi, frozen yogurt, and saw not one by TWO movies. 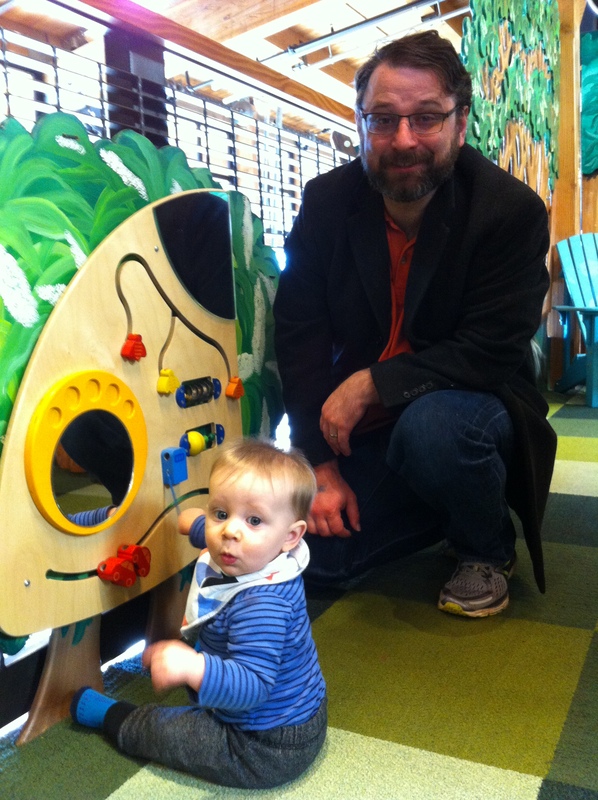 At the end of the month we went to Olympia”s Hands on Children’s Museum. 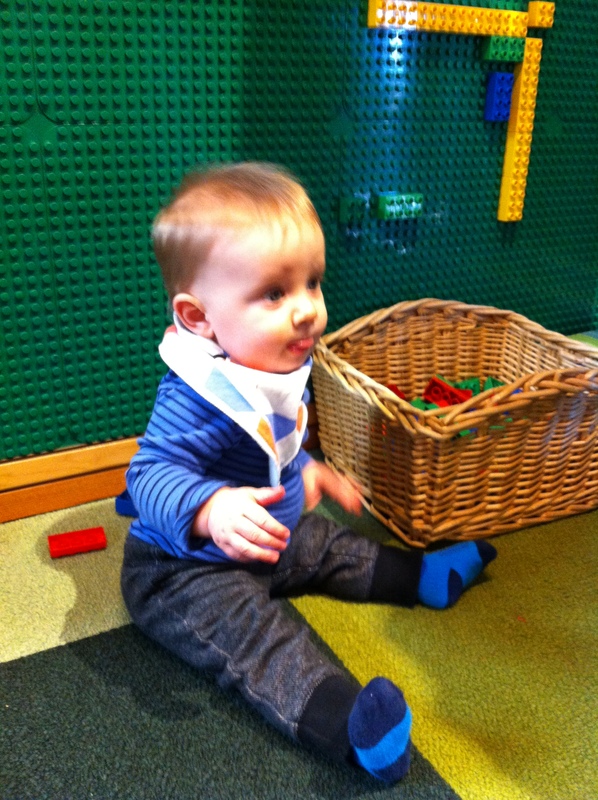 There are lots of amazing interactive exhibits ready for Zach when he’s older. Fortunately they did have a special area called “Snug Harbor” designed for little ones. Zachary sat comfortably our laps while exploring puzzles, he slowly began to crawl around, but never too far from us. Zach’s not used that much stimulation or that many people. Even though it was a sunny day, the museum was very busy, it was great to see so many families taking time with their children. The volunteers at MOPs say Zach has had a least one if not two growth spurts since Christmas. There is proof they are right as he is now in the tallest slot for the infant car seat. 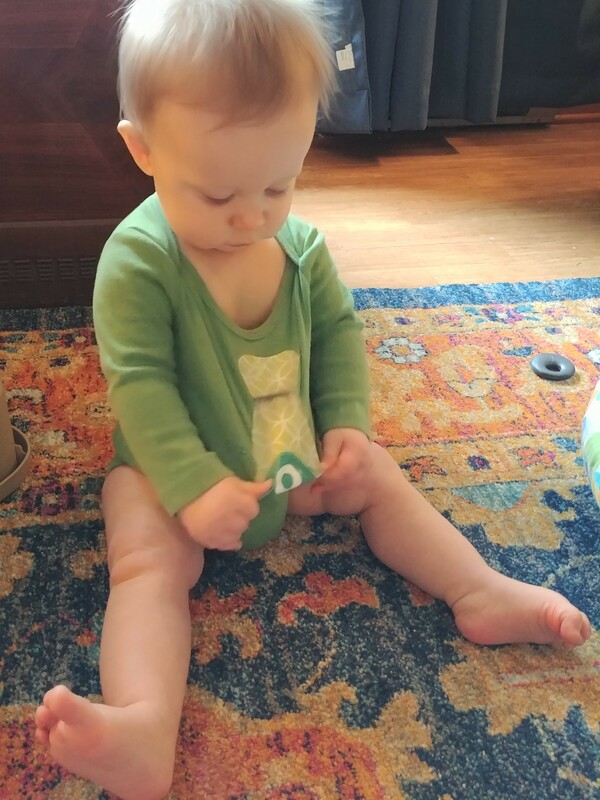 He is already in 12 month PJs and his feet almost touch the foot rest of his highchair. 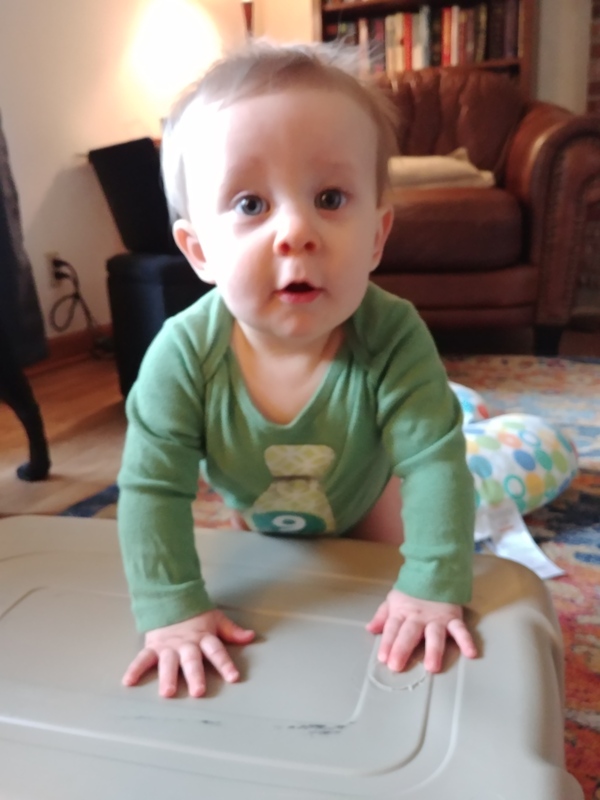 Everyone says he will be crawling and cruising before we know it.